If you mention you’re looking at a Porsche Macan for sale, most people will simply hear the word “Porsche” and assume you’ll be dropping a lot of money. Porsche is known for their sizable price tags because their quality, brand, and performance exceeds that of most cars on the market. However, if they were to come to a trusted Porsche dealer in South Florida with you, they’d be rather surprised to see the newest Macan at a starting price of just over $48,000. Naturally, that’s before all the fantastic options you can request (and why wouldn’t you? ), but it the sort of number that will shock people when they discover it’s attached to the Porsche name. But Porsche is thinking smart, not cheap. Just because the price tag isn’t thousands more doesn’t mean this Macan isn’t worth its salt on the road. 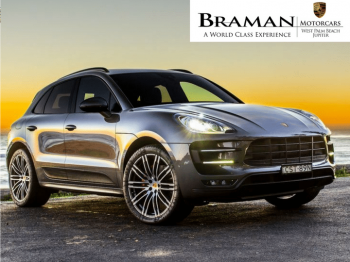 In fact, the Porsche Macan for sale features a standard 2.0-liter turbocharged 4-cylinder engine that puts out 253 hp and 273 lb-ft of torque. It has power to spare, and that’s important to many customers. The Macan handles like a dream, and that’s important as well. Discerning drivers want a solid Porsche that they’ll be able to enjoy. A bit under $50k is not a “bargain” per se; you can get other cars for much less. But can you get the quality? The prestige? The looks? The throaty roar? You can get other cars for less – but you’ll get less car. 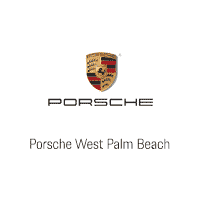 You can visit Braman Porsche dealer in South Florida and test out the Porsche Macan for sale yourself. It’s certainly exceeded expectations. But in truth, most of us don’t may too much mind to that 0-60 second ranking (fun though it may be) or how fast the car can actually go since, in the end, we’re limited to city streets and highway limits. But if Porsche is willing to give us the chance to enjoy one of their cars for a little less, who wouldn’t jump on that prospect?